I first discovered Thomas Ligotti in the pages of Weird Tales and was happy to see this collection available. There is a sense of “Lovecraftianess” to Ligotti’s style of prose, yet unlike lovecraft’s work, you will find no tentacles or tombs here. The strange and quirkiness of these stories lies beneath the ordinary much like Rod Sterling’s Twighlight Zone. 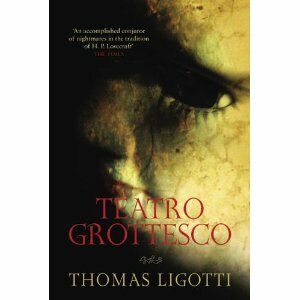 Teatro Grottesco is a worthy collection of the dark and weird and a satisfying introduction to Ligotti’s short fiction.